Stock Replacement Reman Cylinder Head. Sfi. Gen II. Vin P. Lt-1. H.O. Roller Cam. Aluminum Head. Fits Block Cast #327. Head Cast # 374, 643, 93-94 Camaro & Firebird Apps. 12 Month/12,000 Mile Warranty. 12564241. 12 Month/12,000 Mile Warranty. 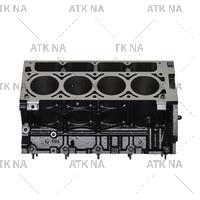 ATK's New Casting Performance Aluminum Head, 70cc/195cc, 2.02/1.60 Valves, Hyd. Roller Springs .600 Max Lift. Our head outflows most heads in its class while keeping costs down. This is a 100% AMERICAN Cast, Machined and Assembled Head! Stock Replacement Reman Cylinder Head. Fits 4.8/5.3/5.7/6.0, Ls6, L33, Ly5, Lh6, Engine Families. Vin S.B,J,M,C, Applications. "D" Shape Exhaust Ports, Head #12564243 or 799 Casting. 12 month/12,000 Mile Warranty. ATK's New Casting Performance Aluminum Head, 70cc/210cc, 2.05/1.60 Valves, Hyd. Roller Springs .600 Max Lift. Our head outflows most heads in its class while keeping costs down. This is a 100% AMERICAN Cast, Machined and Assembled Head! 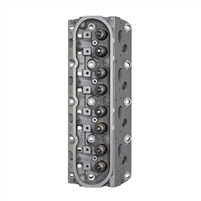 ATK's Machined Mopar Magnum 360CI Bare Block is a great foundation to start building a new engine. This block comes fully machined in a 4.040" Bore and ready to build off! Notes: Due to the vast selection of parts,styles/sizing of Pistons & Connecting Rods ALL clearances should be checked before final assembly. Final hone and additional connecting rod clearance may be needed. ATK's Machined GM LM7/5.3L Bare Block is a great foundation to start building a new engine. This block comes fully machined in the popular 3.903" Bore size to make an Iron LS1/LS6 and is ready to build off! *Can be used in place of LS1/LS6 car applications, but the accessory hole on the Driver Side for the bracket will have to be drilled and tapped. ATK does NOT offer this service. ATK's Machined SBC Bare Block is a great foundation to start building a new engine. This block comes fully machined in a 4.040" Bore and Stroker Clearanced for MOST "H" Beam Rods. ATK's Machined GM LQ4/6.0L Bare Block is a great foundation to start building a new engine. This block comes fully machined in the popular 4.030" Bore size and is ready to build off!